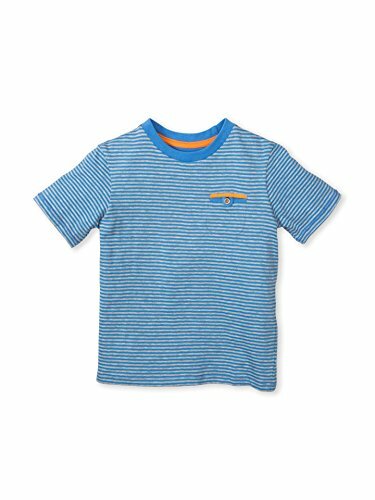 Our organic Flynn Crew Pocket Tee for boys is a comfy, high quality top that subtly elevates this classic style. Tapered and sporty, this top has the superior softness and luxurious feel of high quality organic cotton. The ribbed neckline and cuffs add a comfortable stretch for easy outfit changes and hassle free wear. Available in a variety of colors, the water-based based dyes used ensure the garment retains its color, vibrancy, and durability, while remaining environmentally friendly, naturally hypoallergenic and gentle on your little boy's skin. If you have any questions about this product by Colored Organics, contact us by completing and submitting the form below. If you are looking for a specif part number, please include it with your message.